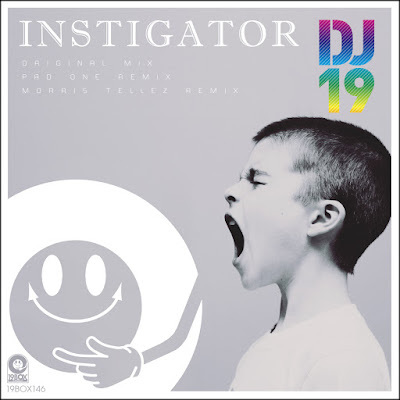 After dropping 'Coincidence', 19BOX(JUKEBOX) RECORDINGS boss DJ 19 is back with another cracking release titled 'Instigator'. He has curated an unranked list of the top tech groove with the percussive elements placed right in the spotlight and its highly infectious synth which remind you of Basement Jaxx's 'Fly Life Extra', and featured voice of Harry Moon who was appeared on 19BOX RECORDINGS classic DJ 19 Vs Austin Leeds 'Diamond Dust' in 2005. Remix duties are expertly handled by Pad One and Morris Tellez. Pad One from Italy adds his considerable pedigree to proceedings with a stylish interpretation that built up an enviable reputation among fans of progressive and tech house sounds. And finally, Morris Tellez from Columbia picks up the pace with his trademark sound and has you instantly locked in this hypnotising, regimented prog sound. Find a place in your bag for this jam and have fun!